and the team is like family. With the help of her own friends and family, she found a little shop on Main Street (when antique stores still outnumbered fine dining hubs and consignment boutiques) and turned it into a home. From the mouldings and exposed brick to the beautiful custom woodwork, she wanted to convey that feeling of familiarity and warmth. 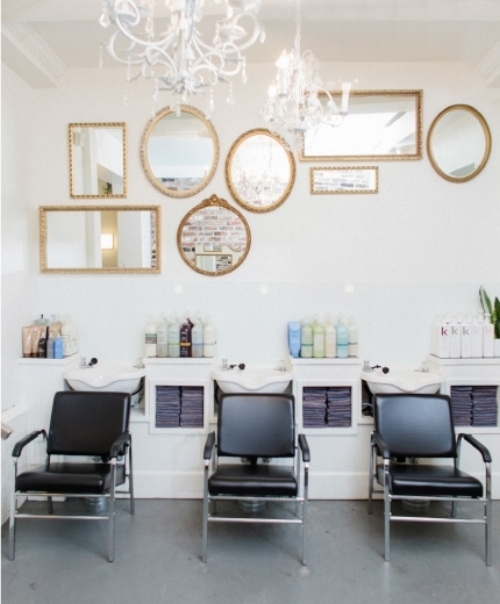 Of her labour of love was born a special little salon where that is exactly the case. We laugh as much as we work, we take great pride in making each and every guest feel welcome and comfortable, and we respect and enjoy each other because we know the importance of friendship and human connection. Over the years, as life has happened we have adapted. When Sarah took a step back to start a family, longtime stylist Bridgette became a new leader, bringing her own warmth and vision to the space. She worked to maintain our close-knit vibe and keep Trim true to its roots. Along with managing the business, she and her husband conceived and created much of the amazing craft woodwork in the salon today. As stylists have become owners and staff have taken ownership, our dynamic has become more cooperative than ever. We love our little shop and we love working together. After eight years with largely the same group of dedicated stylists and support staff cultivating Trim, Sarah’s original vision remains a reality. Have a look at our website and come visit us on Main Street.